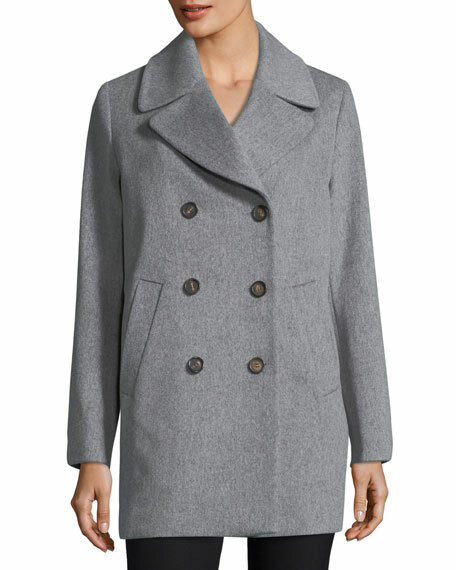 Fleurette pea coat in Loro Piana® wool. 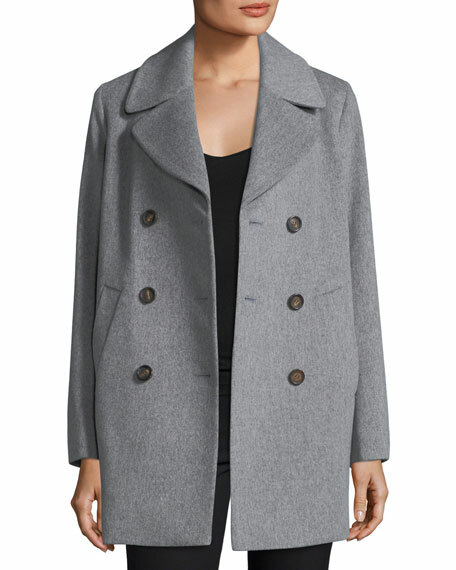 In 1949, Fleurette first launched high-fashion coats out of a small workshop in Los Angeles, California. Now for more than sixty years, Fleurette has remained a leader of American-made luxury outerwear. 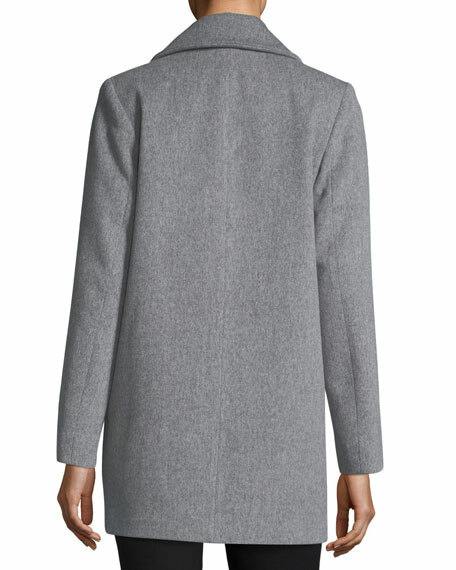 Through a partnership with Loro Piana, Fleurette gathers opulent wool and cashmere to craft its coats, while artisans continue to finish each coat by hand  one at a time. For in-store inquiries, use sku #2288826.